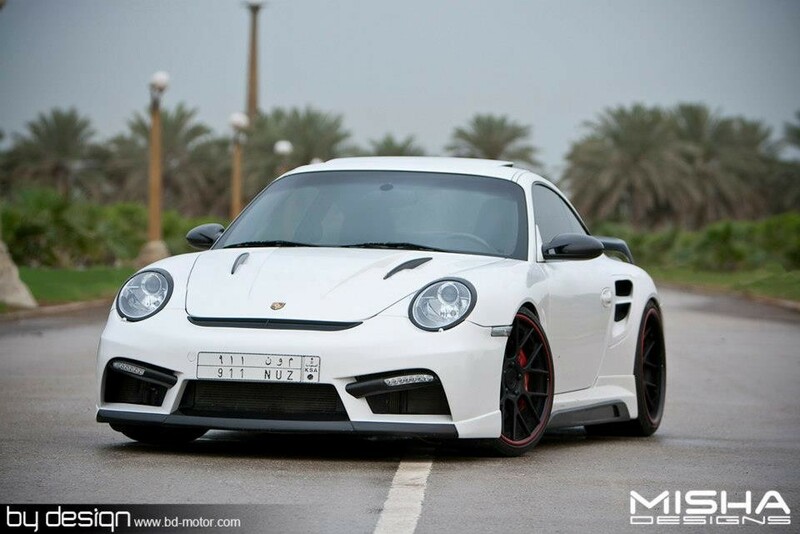 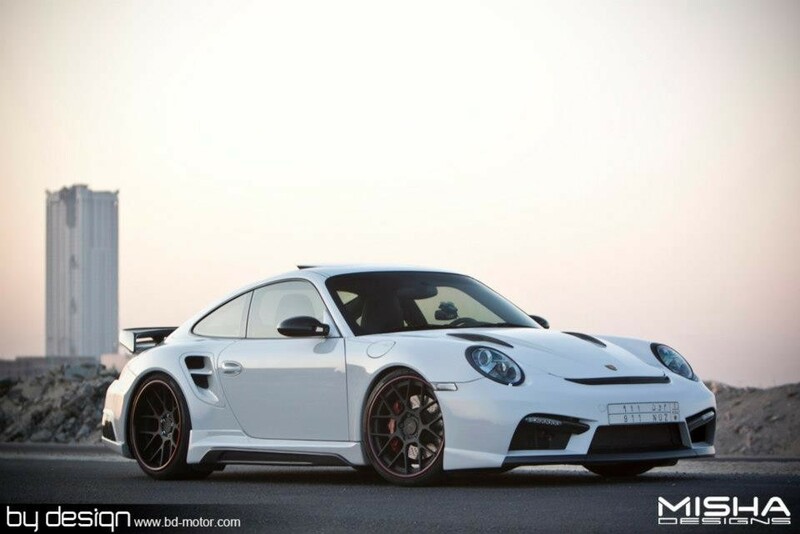 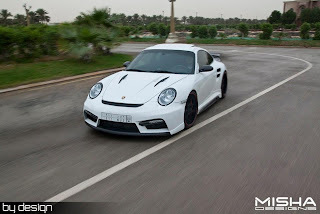 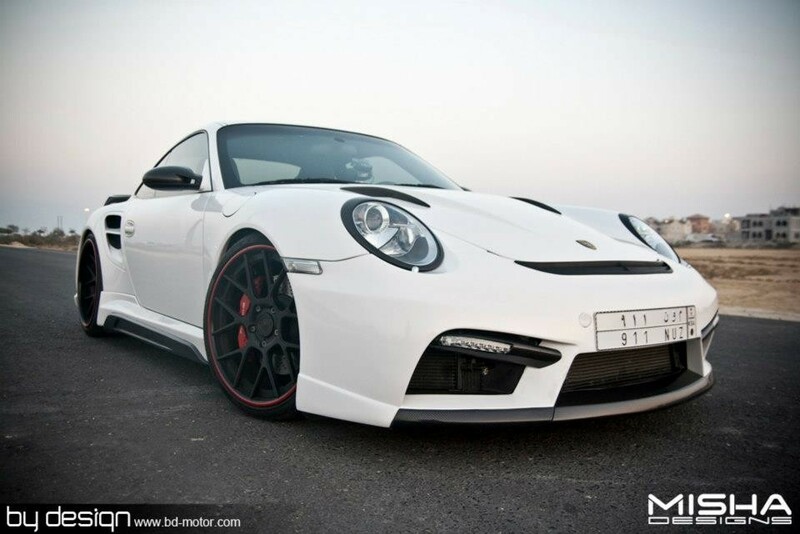 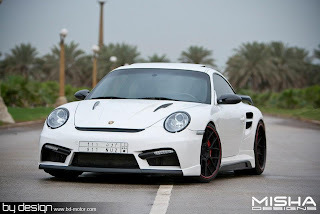 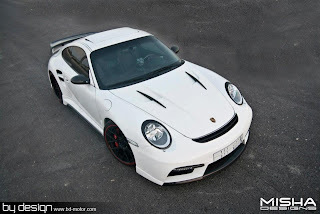 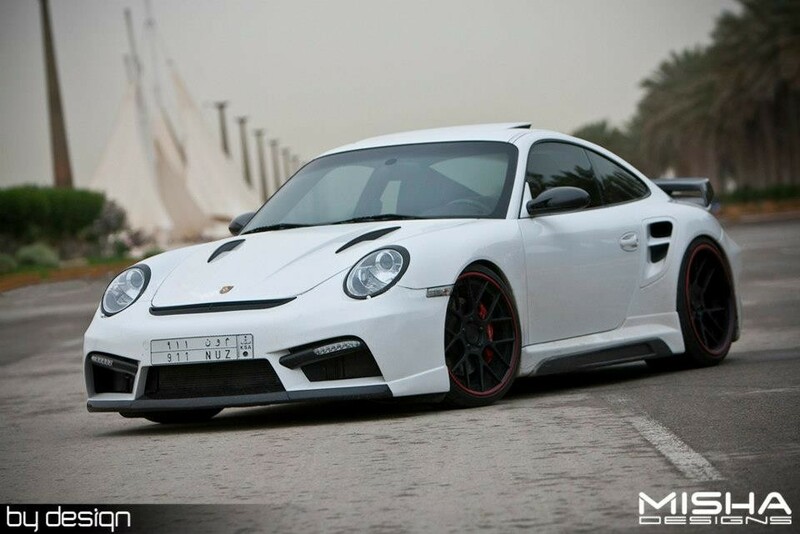 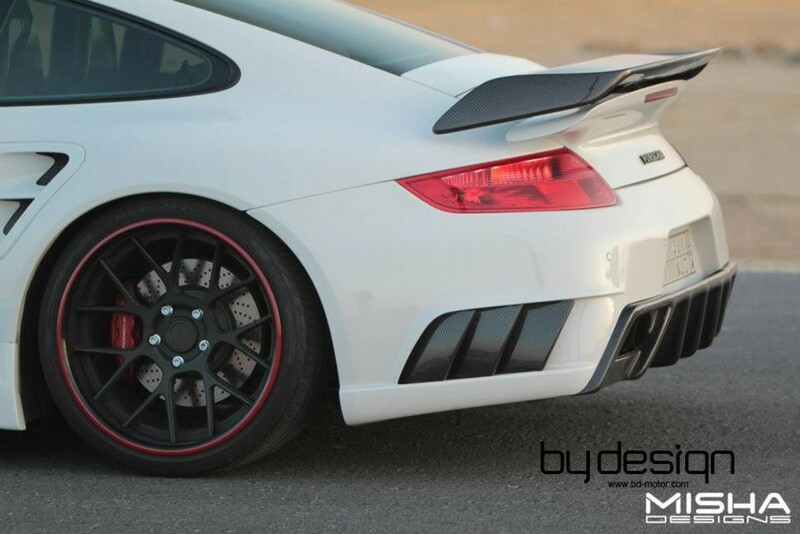 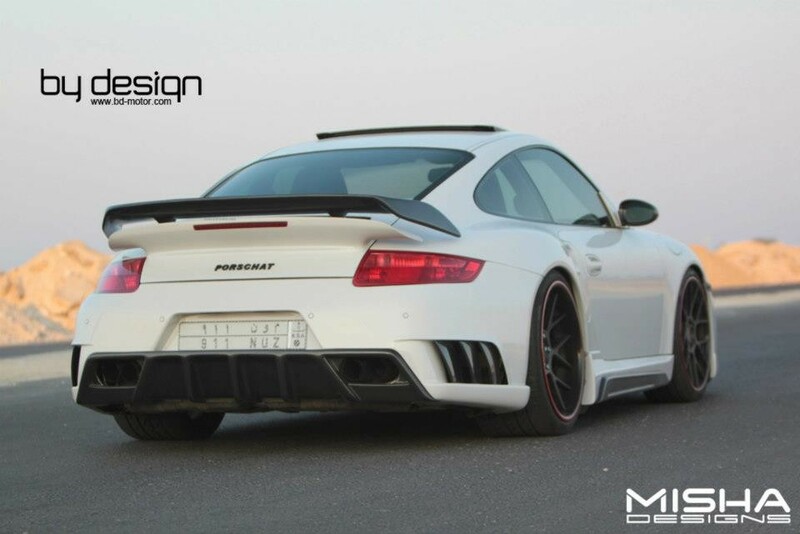 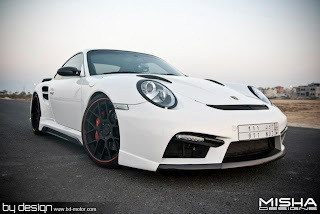 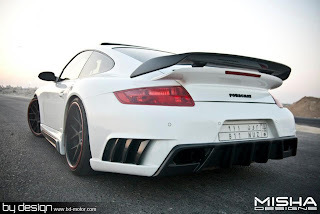 By-Design Motorsports, a tuner specialized in aftermarket products, has completed a project based on a Porsche 911 997 Turbo with a Misha Design GTM kit. 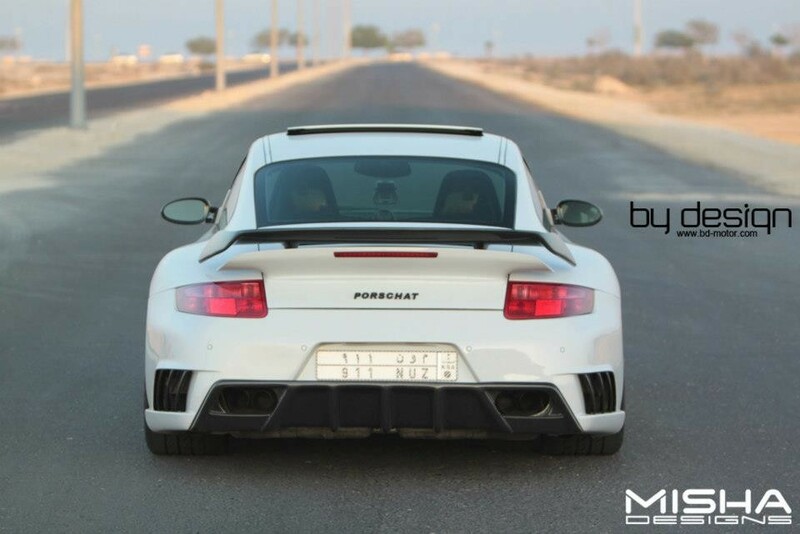 The GTM kit adds front bumper, hood, side skirts, rear bumper with diffuser and a choice of 3 different rear spoilers. The white body stands out the black accents, like the black wheels with red accents and the black hood. 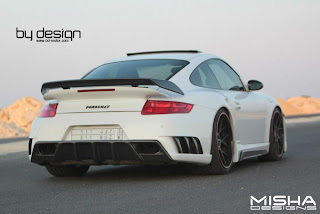 By-Design Motorsports, un tuner specializzato in prodotti aftermarket, ha completato un progetto basato su una Porsche 911 997 Turbo con un kit GTM by Misha Design. 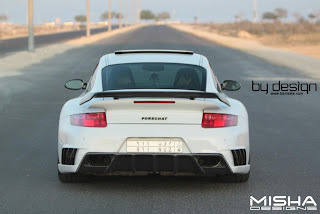 Il kit GTM aggiunge paraurti anteriore, cofano, minigonne laterali, paraurti posteriore con diffusore e una scelta di 3 diversi spoiler posteriori. 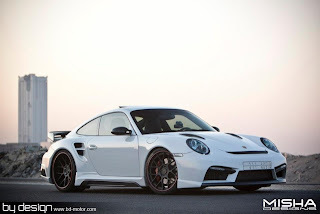 Il bianco della carrozzeria risalta i dettagli neri, come i cerchi con finitura rossa e come il cofano.